The former MP says she is certain she flew SAA to Cape Town and back to meet the former president and the brothers. In 2010, after returning from a department of trade and industry trip to China in August of that year, former African National Congress (ANC) member of parliament (MP) Vytjie Mentor flew from Cape Town to Johannesburg onboard South African Airways (SAA) to meet former president Jacob Zuma and the Gupta brothers, Atul and Rajesh. This is according to testimony Mentor gave to the commission last year, in which she further said she had flown on the said date, a Monday, after she received a call from the former president’s advisor, Lakela Kaunda, the day before her trip, a Sunday, who informed her, Mentor, that the former president wanted to meet on Monday. 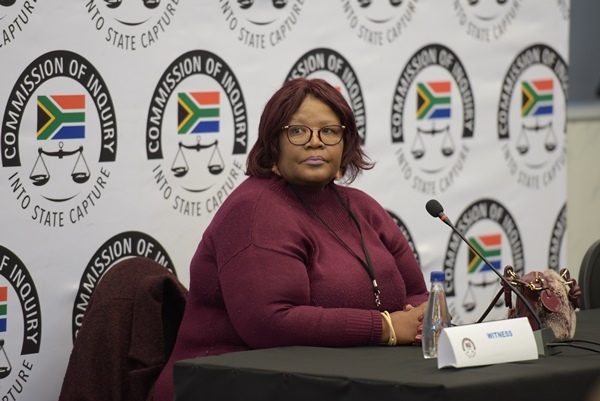 The commission’s evidence leader, advocate Mahlabe Sello, said, however, that according to records the commission obtained from SAA, there is no record of Mentor flying from Cape Town to Johannesburg and back on the said date. However, Mentor took issue with the accuracy and detail of SAA’s records, saying it had a number of repetitions and omissions as well as inaccuracies. Mentor highlighted that according to the SAA flight records, at one instance she had flown from Cape Town on July 1, 2010, to Johannesburg and returned on July 10, 2010, which means she spent nine days in Johannesburg “which has never happened”. She said she had compared SAA’s records with those of parliament’s travel agency and found disparities between the two – with the SAA record missing some legs of journeys. “My recollection is very, very clear, that I checked in with SAA [during the morning flight] and had requested a passenger assistance unit,” Mentor told the commission. Despite the carrier not having a record of Mentor flying with it on the said day, she maintained that she had. The commission’s chair, Deputy Chief Justice Raymond Zondo, highlighted that Zuma had been given Mentor’s statement and asked to respond to it, however, the former president has not done so. “Chair, I say that I have a problem with these records and I maintain that I flew from Cape Town to Johannesburg on a particular Monday and that during that visit I was taken to Sahara and Saxonwold and met the president and the Gupta brothers,” Mentor told the commission. Sello said once the commission could not find a record of her flying on SAA from Cape Town to Johannesburg and back, the team looked at “any other flight on any other day” and found some flights she made between the two cities and the team further looked at the whereabouts of the Guptas and Zuma on those days. Mentor said she did not want the commission to consider the other days besides the Monday she mentioned in testimony. The commission has adjourned for lunch.